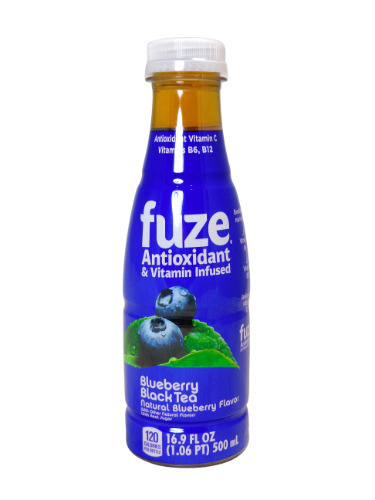 FRESH 16.9oz bottles of Fuze Blueberry Black Tea Antioxidant & Vitamin Infused beverage. Swim in a sea of mouth-watering blueberry vitality and chill out with these cool blue vibes. Jam on with a laid back tart taste and a medley of fruit flavor. This refreshing Blueberry Flavored Black Tea is Antioxidant Vitamin C, Vitamin B6 and B12 infused. Every delicious sip is a bright utopia on the isles of Fuze.